It is a way of extending that “sustaining, welcoming environment” within a one-on-one relationship. It is a dynamic process where one can listen to self in order to reflect on life’s questions in light of our Gospel call. Sessions typically last one hour. Multiple sessions can be scheduled. 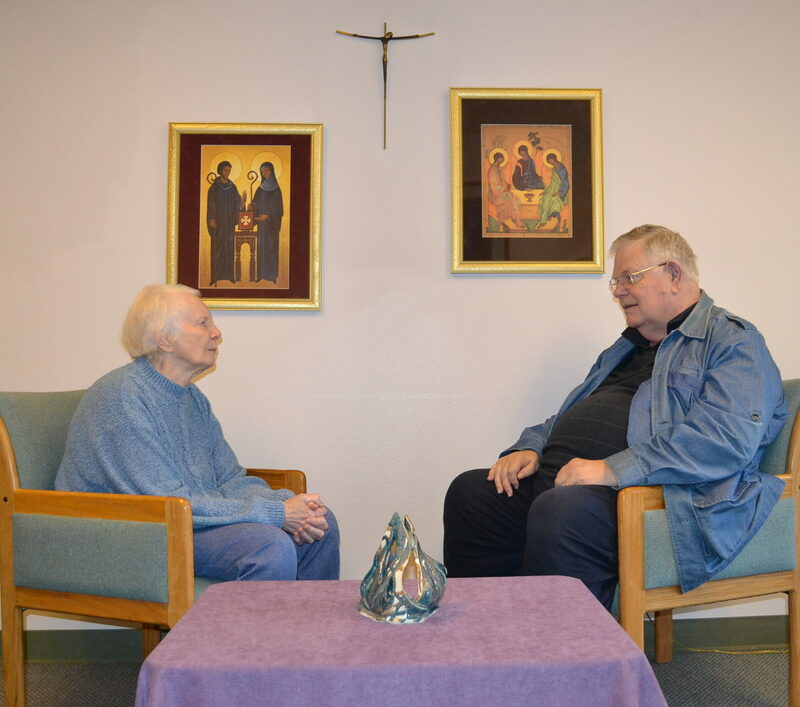 Read about our Spiritual Directors and contact one to schedule your spiritual direction session. We offer our Spiritual Direction Sessions on a sliding scale payment of $40-$70 per hour. Please call Janice at 360-438-2595 to inquire about scholarships.